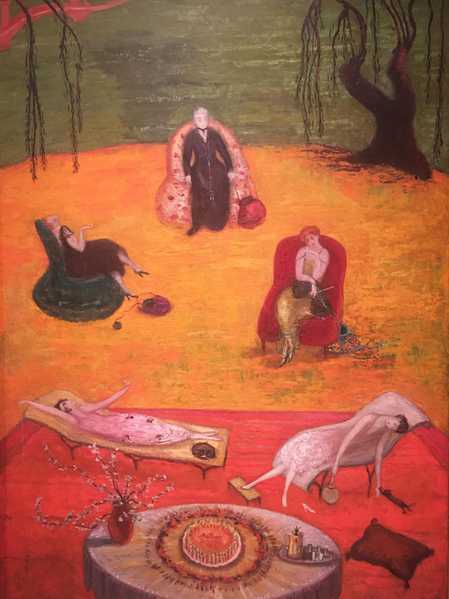 Florine Stettheimer: Painting Poetry: Contemplating the rugs in the Jewish Museum’s new buzzing exhibition. 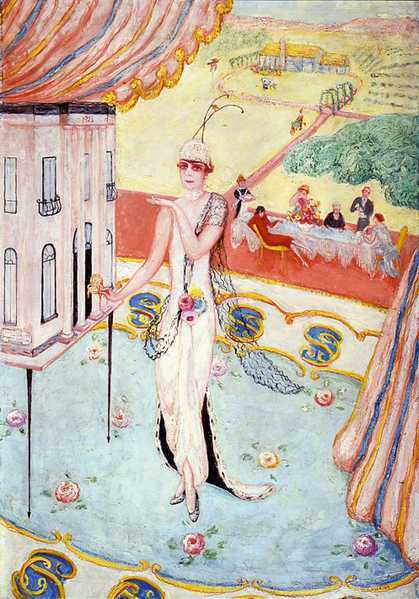 The Jewish Museum’s latest exhibition, Florine Stettheimer: Painting Poetry is bursting with insight into early 20th century decadence and interior design. Born into a wealthy Jewish family, Florine was immersed in luxury interiors, so it is no surprise that her paintings are packed with decor. Stettheimer’s unique gaze on high society New York is as rich in detail as it is in symbolism, and of course, we couldn’t help but notice the rugs. 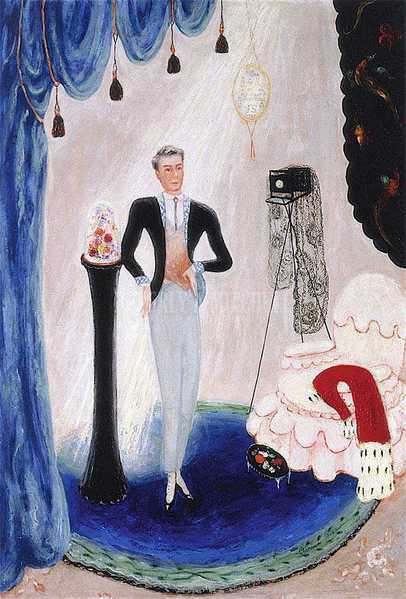 Below are three highlights from Florine Stettheimer: Painting Poetry, where she’s payed close attention to the textile art within her art. 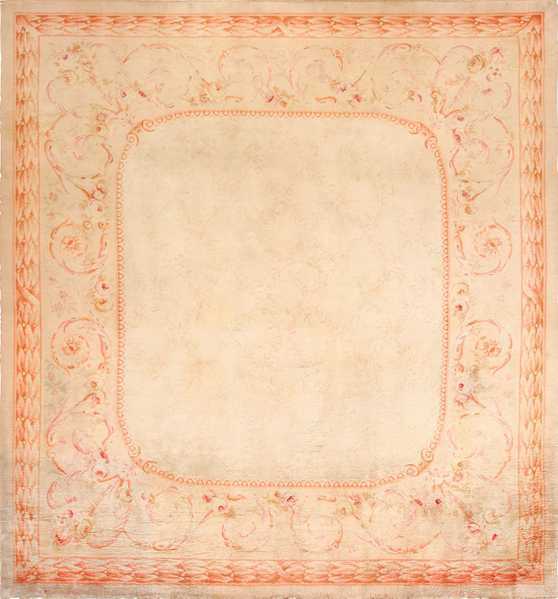 Discover what kind of rugs Stettheimer may have depicted and how you can recreate the look with a gorgeous antique or vintage piece from the Nazmiyal collection. And if you are in town, we highly recommend going to see these beautiful paintings in person, for photographs hardly do them justice. Florine Stettheimer’s Heat is one of her greatest masterpieces for all of its metaphoric wonder. 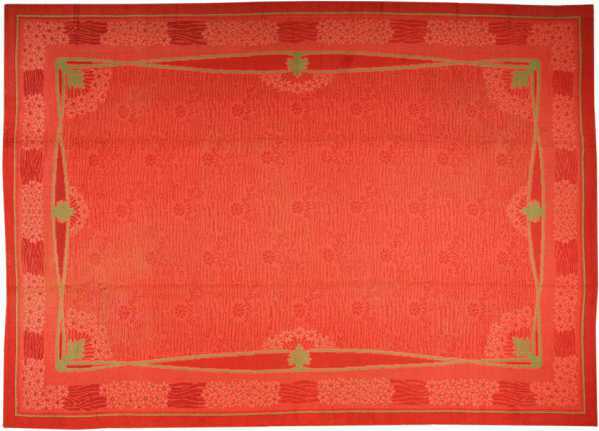 Depicting her mother, sisters, and herself in the height of summer, we can’t even be sure if it is in fact a rug in the foreground of the painting or not, but we would like to think it is… :) … And if that is the case, the red on red monochromatic mastery of the carpet reminds us of our Large French Art Nouveau rug, also made around the time of the painting, in the early 20th century. Stettheimer’s extraordinary depiction of her sister Carrie W. Stettheimer captures the whimsical decadence of French Rugs so beautifully. 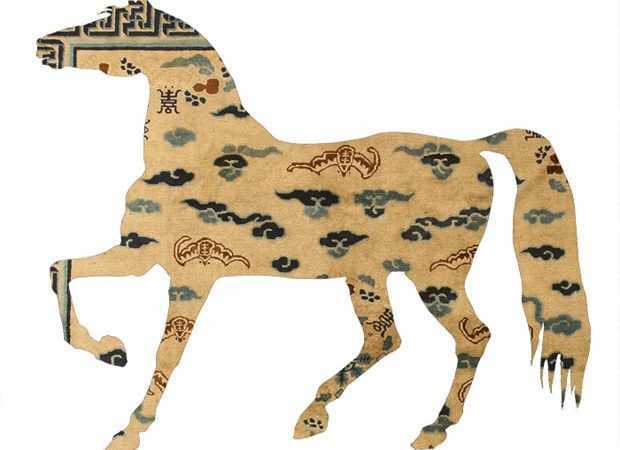 We love the attention she invested in the details of the rug. 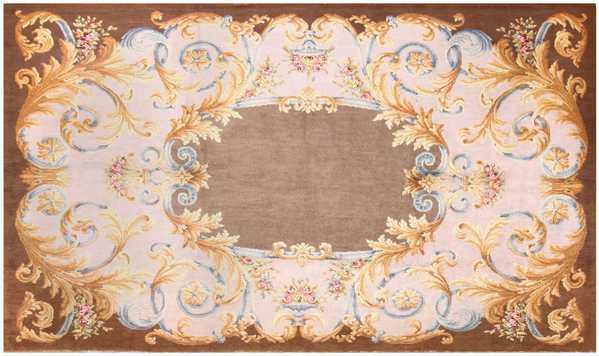 See two examples of Savonnerie Rugs from our collection below. 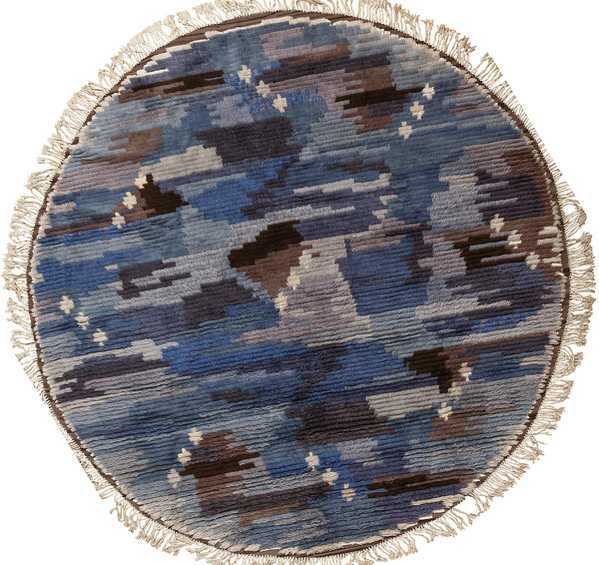 While the round rug in Florine’s painting of Barron De Meyer is likely of a different origin, the Scandinavian Rug below is of the same deep marine hue, and was likely made around the same time as the one pictured, somewhere in the early 20th century.